Each point is worth $.01 toward your next new vehicle new or used vehicle from Ken Shaw Lexus. This amazing program is FREE TO JOIN! You'll be amazed at how fast the points start to add up. Take your membership to the next level! 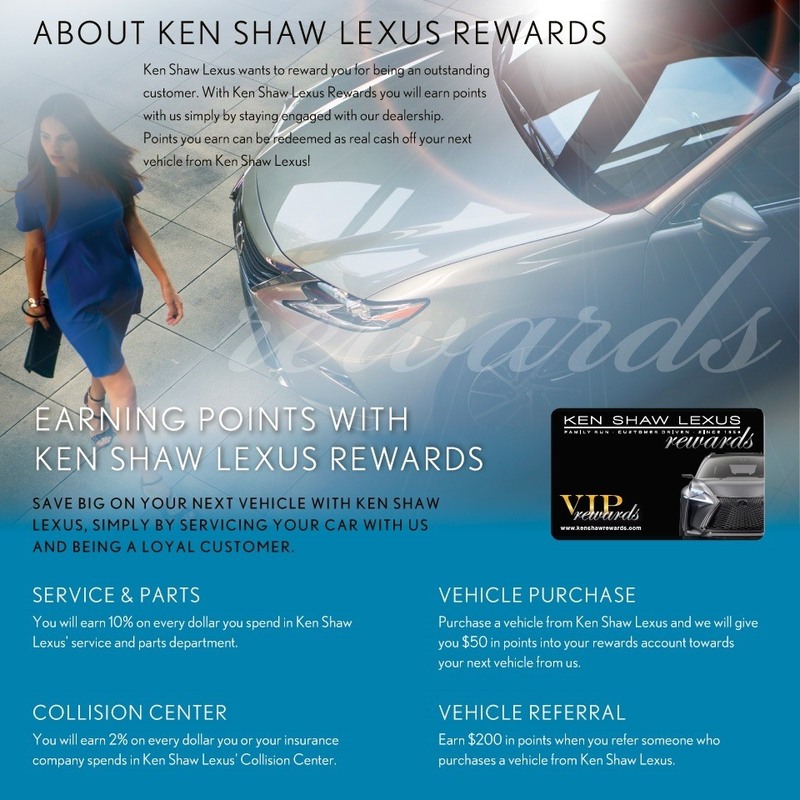 Purchase your next vehicle from Ken Shaw Lexus and automatically become a VIP Rewards member. Save BIG at thousands of great merchants. Ask your Sales Associate for more information. Ken Shaw Lexus VIP rewards members earn point toward their next vehicle simply by servicing and maintaining their current vehicle with Ken Shaw Lexus. Earn 10% of what you spend in our Service and Parts Departments, and 2% of what is spent in our collision center (even if your insurance pays for it) toward the purchase of your next vehicle from Ken Shaw Lexus.